For today I was thinking to present an algorithmic problem, but somehow I have decided to show something more useful. It is a Step-by-step instruction for the creation of a C# object in VBA. 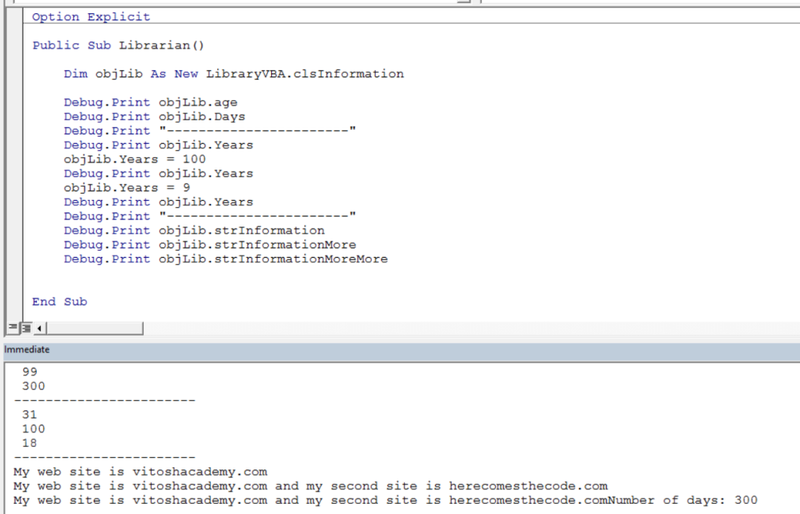 You know, that references, which you can add through Tools>References from the VB Editor. Pretty much, it has 3 fields, 2 of which are private. “Days” is read only, Years – not. We have also 3 other string functions, just to have something. Once we are ready, select “Project” and then ProjectName Properties. 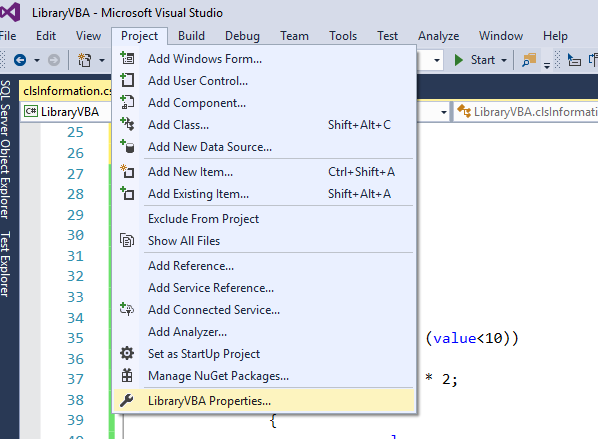 In my case it is LibraryVBA Properties, because my project is named LibraryVBA. Now the magic starts. 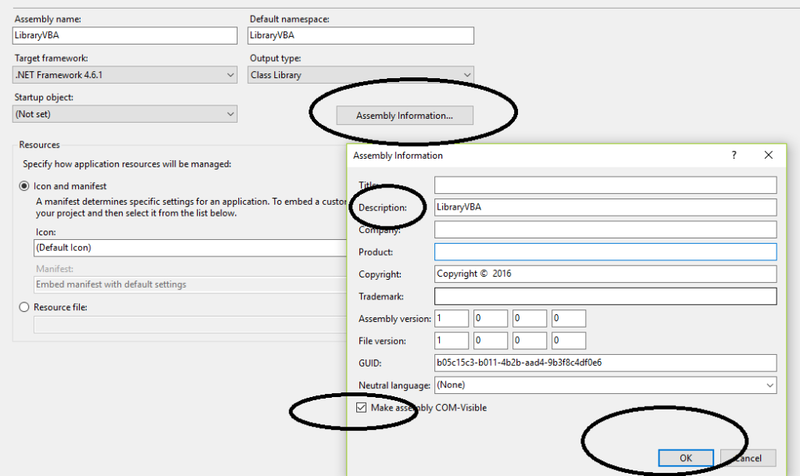 Make sure to click on Assembly Information and to give meaningful description, it would be the one showing in the libraries in Tools>References, once we go to the VB Editor. 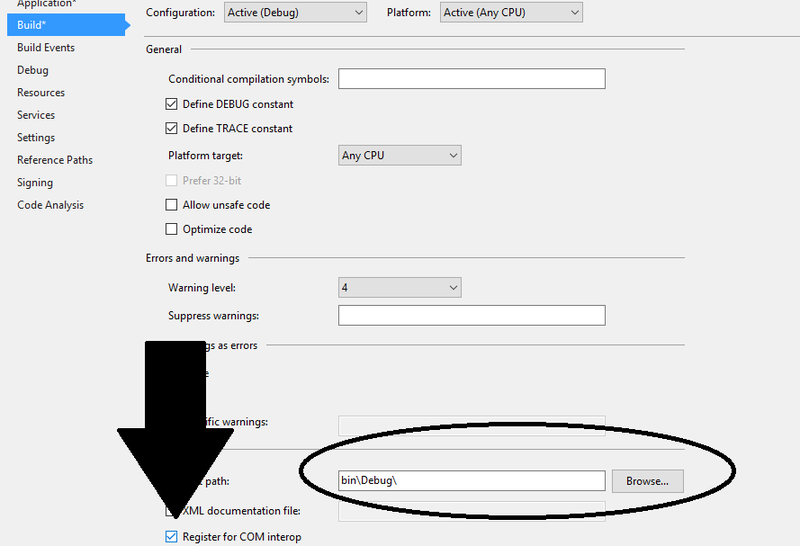 Last but not least here – check on “Make assembly COM-Visible”. So far so good. Press F6 and hope for the magic to start. 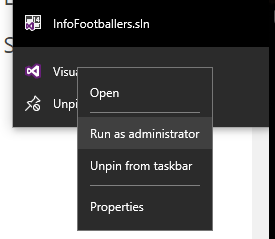 Usually nothing should happen, just a small notice on the lower left corner of your visual studio, saying “Build started” and the “Ready”. 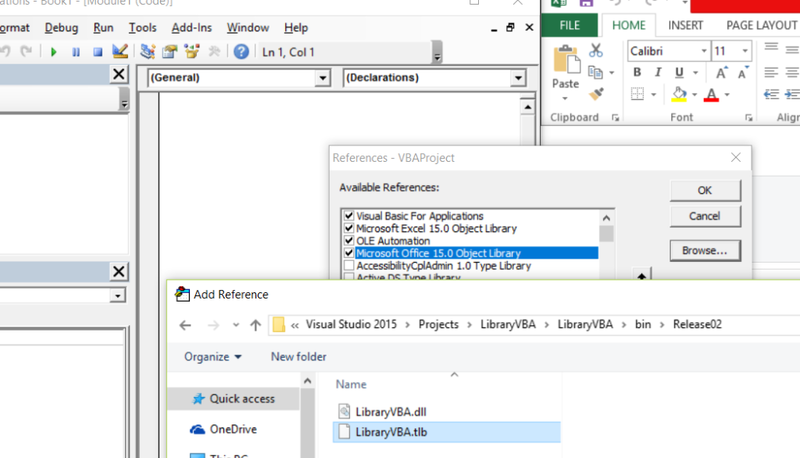 And yup, in the specified folder we should have a LibraryVBA.tlb file. (or something similar).